We’ve cast off the dock lines! 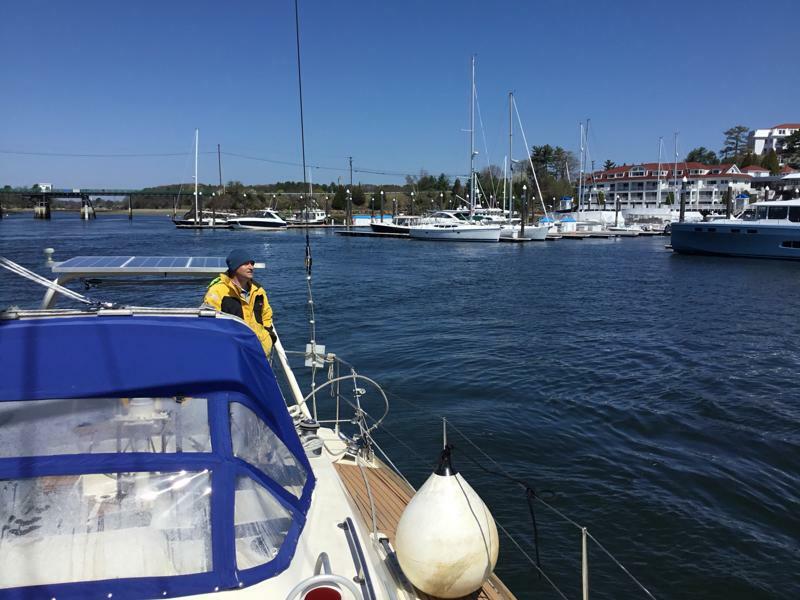 Detour motored out of the harbour on a sunny, yet chilly, morning bound for the Isles of Shoals. The fog never quite burned off at sea, offshore we had a grim view. 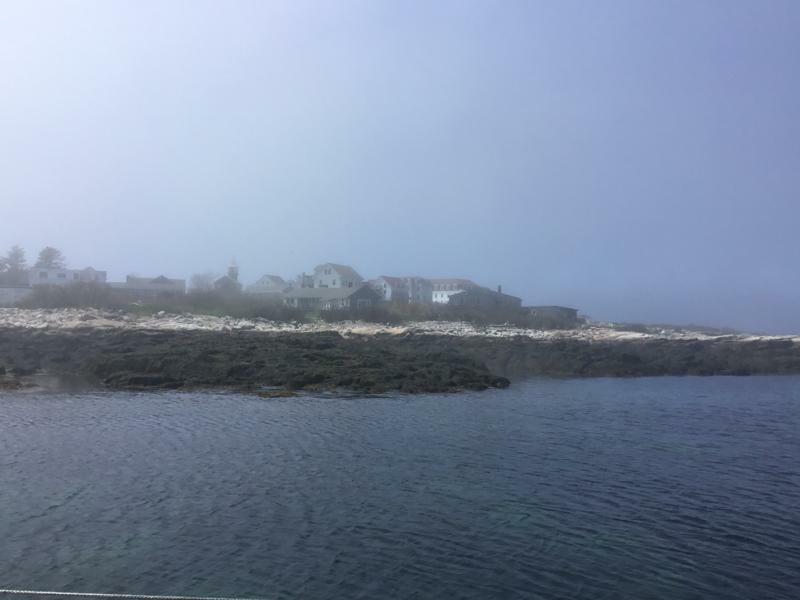 Soaking up the solitude at the Isles of Shoals, Detour swung peacefully on a mooring ball and all ’round Eider ducks clucked and paddled. 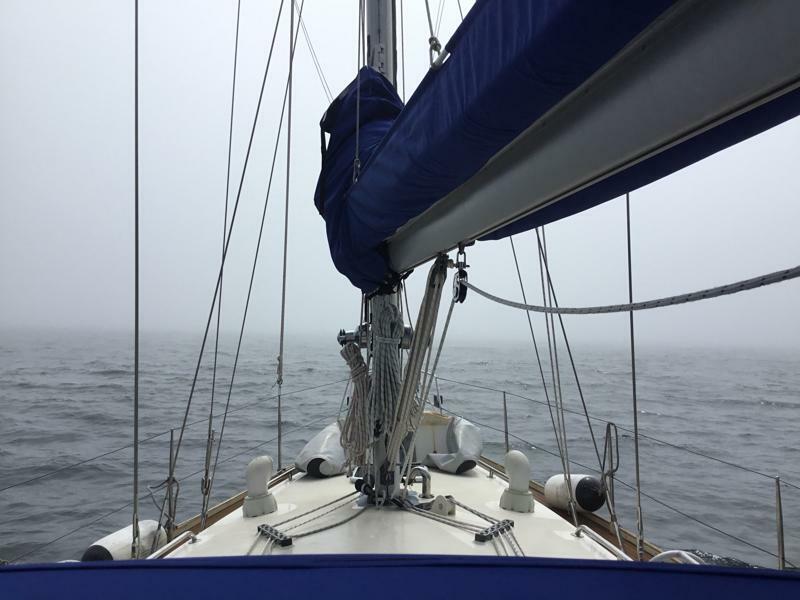 We haven’t the foggiest idea where the next anchorage will be.